One scoop, two scoop, three scoop, four. 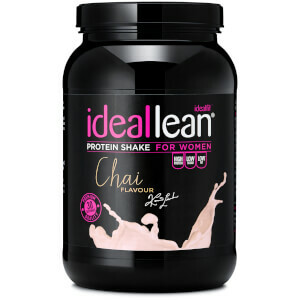 French Vanilla IdealLean Protein will have you begging for more. Whey Protein Isolate (82%) (Whey Protein Isolate (Milk), Emulsifier (Soy Lecithin)), L-Glutamine, Flavouring (Flavouring, Sweetener(Sucralose)), Calcium Carbonate, Vitamin Blend (Pantothenic Acid, Biotin, Vitamin B6, Vitamin B12, Thiamin, Riboflavin, Folic Acid, Niacin),Acai Powder, Blueberry Powder, Mangosteen Extract (4:1), Vitamin D3, Chromium Picolinate. It tastes amazing like vanilla ice cream and you can do so many recipes with this one. It mixes really well, and tastes really good when mixed with just water too. My absolute favourite flavour! Love the taste of this one (French Vanilla), makes my morning oats taste amazing! Really nice after a workout too, not too sweet but really easy to drink. Great texture too, starts dissolving immediately when mixed with water, just a couple of shakes and no powdery residue that you get with other, cheaper protein powders! 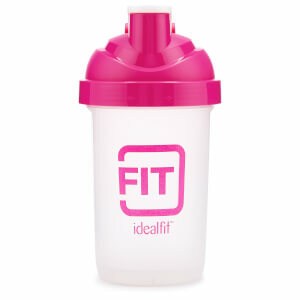 Bought in the bundle with BCAA & pre-workout, very good value. the vanilla flavour is unbelievable! excellent product! A little on the sweet side but tastes great!!! Best protein that I've ever had! I LOVE this flavor!! You can get so many different recipes out of it! By far my favorite so far! It tastes like ice cream Definitely the best! 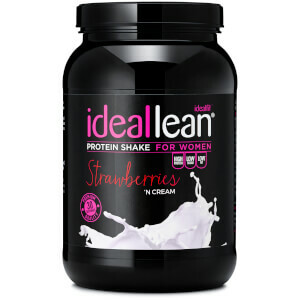 I normally love love love my protein shakes that I get from Ideal Lean....I was very surprised when I tried the vanilla...I love vanilla but I do not like this vanilla. I was disappointed with this flavor. My other flavors are great!! This is very sweet with a funny aftertaste. Its one of my least favorites.